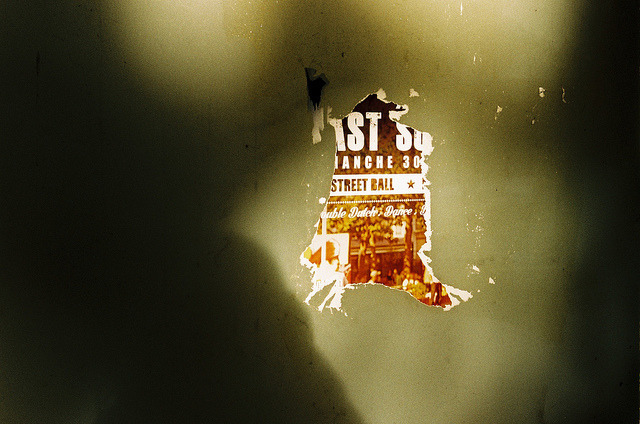 Graphic Designer and Analog Photographer based in Paris, France. "I see, I snap, I move on." As impromptu as her approach may be, Gelb's aesthetic intuition seems to pilot her camera's periscope to a large degree—or at the very least—the world arranges itself before her and she is opportunistic enough to shoot it. She paints her style simplistically, but there is nothing reductive to be said of the composition in which her subjects are wreathed: pine sprigs encroaching in the corners, a solitary street light quietly occupying a crash point to fulfill the rule of thirds, reflections on windows of others passing by the city's minutia that Gelb steps back to capture. I was fortunate enough to speak with Isa about her experiences and inclinations as the editor-in-chief of Underdogs, a contemporary photography magazine that, much like Blood Tree Literature, aims to be a platform for alternative artistic perspectives. B: The space in which I work on BTL is vital to my concentration and creativity. For me, it’s a heap of pillows on the floor, a mug of too-strong coffee, my dog laying somewhere nearby and the hum of Pelony, my beloved heater. What conditions do you prefer when you sit down to comprise new issues of Underdogs? I: I work on Underdogs over the weekends. Not only that, but I need to be in a good state of mind. If I’m not feeling great, I push back work on an issue to another weekend, because I really need to concentrate on what I’m doing. I feel good when a flood of brilliant light pours into the room I work in. Sun, coffee, music and a smoke are the perfect combo to prepare me to sit for hours in front of my computer editing. I also like to have my doggies around laying down next to me while I work. Sometimes I ask them: “Hey, do you like this photo? Do you think I should select it?” They open an eye, sigh and go back to sleep—I take that for a yes. B: When all is said and done, how many hours would you speculate it takes to put together an issue? I: Oh—it takes me days! The process is time consuming, in part because I don’t ask photographers to submit their work to me. I make my own selections from browsing their websites, blogs, and other social media such as Instagram, Tumblr, Flickr, etc. I begin with around 30 pictures from each photographer, and end with between 6-8 final choices. The time I spend sequencing the photos varies widely. For some work, it’s easy for me to create a good layout, because I see a connection between the images at first glance. For others, it takes many attempts to make the images cohere together. I often start with a picture that I call my “darling”—the one I like the most or otherwise has the strongest effect on me. Then I look for pictures that resonate with it and make a good pairing. However, experience has taught me I’ll likely need to “kill my darling,” because nothing else complements it. The “darling” photo can be so strong on its own that other photos weaken it. That’s one of the surprises I’ve had while editing: pictures—even excellent pictures—can dilute each other and compromise each other’s meaning, if there are no elements between them that complement each other. I’m demanding of myself to find the best combinations I can among photos. I understand it’s a subjective process though. What might be a meaningful connection in my eyes could be a mess for someone else. The cultural backgrounds we have are different and that makes us each see things in a different way. Returning to your original question, I’d say that to complete an issue of Underdogs from start to finish takes between 4-5 full days, so around 96-120 hours. Regardless, I like taking my time. It’s important for me to look at the pages with a fresh eye, which requires me to step away from the drafts of each issue for a while. When I return, it’s revealed to me something could be done better. I start over until I’m satisfied. B: By now, I have scrapped the original interview, as your preludes to the issues are reading my mind. In Issue 13, you say, “Underdogs itself has subtly yet significantly changed since Issue 1. Much remains in common—but my experience is that encountering that with which you have something “in common” leads you to think in new ways.” In what ways specifically have you been motivated to think differently? 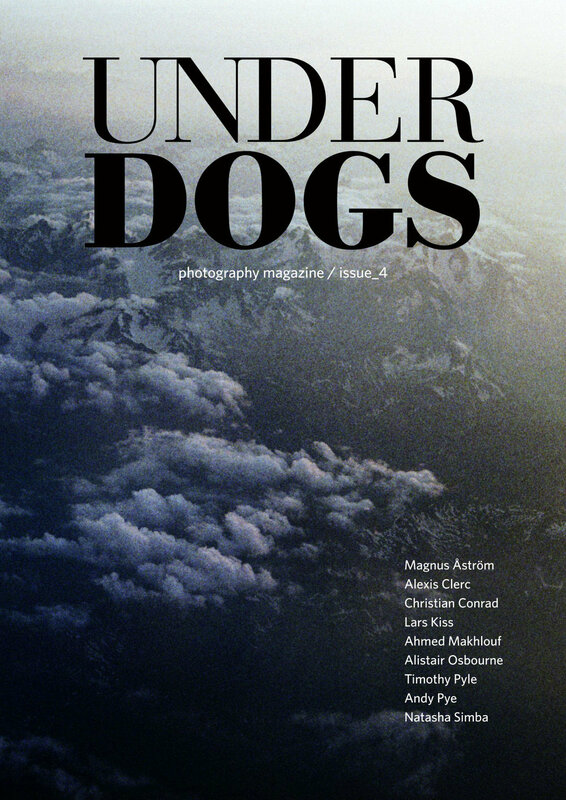 I: When I first began to produce Underdogs, I wanted to give all featured photographers the same treatment: 6 pages with 8 photos for each photographer. I did this until the fifth issue. But when I had the idea for a special B&W issue, I realized I needed outside help—I wasn’t as familiar with B&W practitioners as I am with color. Among other things, I have changed the size of the body text between the first issue and now, and have continued to move towards a minimalist design that is mostly free of written artist statements. I let photographers write a few words about their work if they want to, but to me, I believe the pictures of any Underdogs photographer, by themselves, are enough to communicate a sense (not to speak of multiple senses) of meaning. B: You mention explicitly that publication in Underdogs is by invitation only, not for the sake of being exclusive, but for the sake of time. And of time, as I am coming to understand, there is never enough. I have already refined Blood Tree Literature’s submission policies since the first issue in order to establish greater fluidity for the sifting, and therefore have eliminated visual art submissions so that I can seek particular artists out myself. Part of that is because BTL is not in circulation to receive a multitude of photography/graphic design/film submissions to choose from. Hopefully we will get there, but in the meantime, we totally understand the purpose of seeking out desired talent independently. Where do you look when searching for photographers? I: Sadly, I don’t have a magical button. To find new photographers, I just spend lot of time checking Tumblr, Instagram, Flickr (currently less than before because I feel it’s slowly dying), and also online photography magazines and websites that are well curated to find photographers who have a signature, a body of work that fits my tastes. There are a few super good bloggers/curators on Tumblr who helped me to spot some talented artists. Sometimes, photographers I've previously featured advise me to check out so-and so. I like that kind of networking. B: I don't want to shut down the avenue for unsolicited submissions completely, and as you say yourself, from time to time there are self-submitted portfolios that are undeniably eye-catching. Can you give an example? I: Since I opened up the Facebook page for Underdogs, it has gotten more audience and therefore more photographers sending in their portfolios or links to their website. Almost none of them fit the editorial line except 4: two which have already been featured and two which are forthcoming in the next issue. I sometimes receive really great work, but it’s not at all the kind of work that makes the characteristic of the magazine. I feel very bad to decline, but I want to keep a consistent style. Maybe in the future I’ll be more open to other styles that, for now, I’m uncertain of how to present in Underdogs in a proper way. 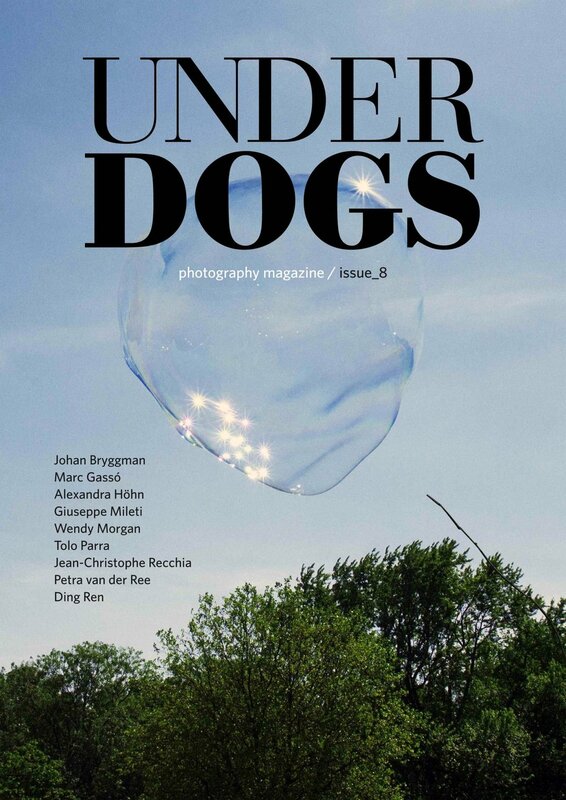 B: In Issue 11 of Underdogs, you mention a reluctance to lay claim to the titles “curator,” “editor,” “publisher," owing part of the hesitation to the consequential “inflation” of the Self. I’ve felt that same hesitancy to promote myself as such, typically defaulting to the collective “we” when referencing the efforts of Blood Tree Literature instead of owning the first-person reality. I too have grappled with this idea of entitlement, though starting a journal never seemed to be about ownership, but rather it is as you theorize a little further down the page, “it may be the ability to recognize the good in others’ works, to the extent we are able, rather than the desire to validate our own work,” and that, I think, is so much of it. That is the “we”. At the end of the day, it’s about birthing a platform for collaboration with likeminded artists who deviate from convention so that we—all titles aside—can strive to offer something unique to the table. I: Exactly. My goal with Underdogs is to offer exposure to photographers who never or seldom answer calls for submissions. At the very beginning, I posted my pictures on Flickr and was very surprised to notice that some of my better photo streams were not much visited and some of my favorite photos didn’t receive many likes. I’m aware that the number of likes doesn’t equate to a good photograph, but based on this assessment, I thought I could offer underrated photographers—hence the name "underdogs"—a space to allow people to discover their work. Of course, I also invite people who have been featured in numerous publications, but it still feels good to offer the first feature to a photographer. I believe it’s important to create “spaces” in which people can see and enjoy good artwork, because the web isn’t neat and tidy by nature. It’s confusing and messy. But what is “good artwork?” Is it a picture I declare to be good? Who am I to claim such things? My intrinsic doubt on this point is why I feel I have no right to call myself a “curator.” Of course, I am curating a magazine, but anyone who shares their work on the internet does something similar in his or her own way. We live in a world now where nearly everyone can do nearly everything with a minimal level of skill and it is all subjectively "good." I’ve always struggled with titles anyway. Even calling myself a photographer is a problem for me, probably because I’ve seen too many people online defining themselves as "visual artists" and "photographers" that I personally consider bad (or worse). It is also because the curators and photographers whom I admire seem to be at higher level with their work that I feel is very difficult to reach. But don’t get me wrong, there are people out there who work on fantastic projects, who are more than deserving of their titles as artists, curators, or both, and who build bridges between themselves and the rest of the world. B: In that same issue, you state the following: “One part of my motivation for producing Underdogs, and perhaps the lesser part, is to respond to what I see as the “too much” of other photography magazines that do not share my style or interests.” Can you elaborate on the “too much” that you were seeing too often? I: I follow countless zines online and what I find so surprising is the frenetic pace at which they post new features. In my opinion, that does not allow the viewers sufficient time to appreciate the pictures and interviews. On social medias, we are constantly overwhelmed and distracted by images that, for the most part, haven't any value (humm…. I probably sound mean). There’s so much visual material to see that remembering an individual photograph becomes nearly impossible. Many people accumulate thousands of images on their phones and digital cameras, but what they don’t realize is that editing those photos is a big part of the job before sharing them on their profiles. They seem not to demand enough of themselves. It's too bad, because as I said above, sometimes less is more. Slowing down a bit is the best way to step back and let new ideas arise organically, to really achieve clear and powerful expression, but at the same time, I’m aware we’re all forgotten quite rapidly on the Internet, and that constant activity is a strategy for creators to keep at the forefront. However, with Underdogs, I want to take my time. I used to publish 4 times a year, but starting this year, new issues will be released 3 times annually, featuring 12 photographers per issue instead of 9. B: Do you have any plans to publish print editions of Underdogs in the future? I: Underdogs is already available in print, but because I can’t afford a print run of 50 or more copies at one time, I use “print on demand” as a solution. It provides readers with the physical object of the magazine if they wish to have it, and gives everyone the option to enjoy the format affordable to them. That said, I’d prefer a full print production process in which I’d be in control of the paper and cover quality. I hope I will be able to do this in the future.